SKU: N/A. 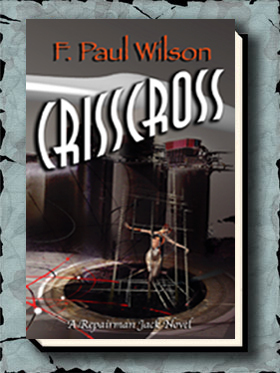 Categories: Authors, Books, F. Paul Wilson. Shortly after they met, Glaeken extracted a promise from Jack that he would make no direct attacks on Rasalom. But things have changed. Glaeken’s mortality and advanced age are no longer secret, so there’s no need to hold Jack in check any longer. 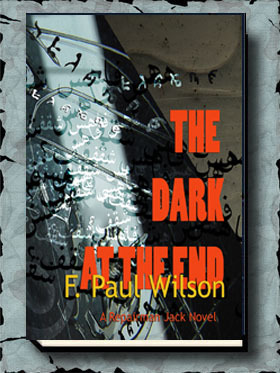 Freed from his promise, Jack begins to prepare for a final showdown with Rasalom. But first he must find him. Other changes are occurring as well. Jack, for instance: He’s healing at an accelerated rate – much like Glaeken did when he was immortal. This can only mean that Glaeken’s time is almost up. When he dies, Jack takes his place. Rasalom continues his plots against the Lady. She has “died” twice in recent years – a third time and she will be gone, leaving a clear path for the Otherness to infiltrate this reality. But friction is growing within the ranks aligned with the Otherness. 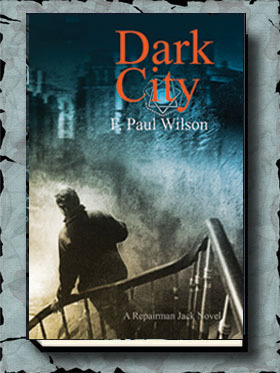 Ernst Drexler, formerly Rasalom’s right-hand man, learns he is being bypassed, and fears he will be left out in the cold when the Change comes. And then there’s Dawn Pickering, searching for her supposedly dead baby. She finds him – along with Rasalom and the hated Gilda – in a mansion in a remote Long Island coastal town. Now the stage is set for Jack’s assault on Rasalom. He must succeed on his first try, because he’s unlikely to get another. But he also must safely retrieve Dawn’s baby and minimize collateral damage. He comes up with a foolproof plan. Also, the first 100 preordering from Gauntlet will receive an unsigned print of the cover.